Across from Thunder Bay, Ontario lies the second largest city on Lake Superior’s shores, and this is a city that is also able to draw shipping traffic from The Atlantic Ocean via the Great Lakes Waterway. Emergency Dentists USA is the ultimate portal for you to locate a 24 hour emergency dentist Duluth MN , which you may need when pain strikes suddenly is this metro at the northernmost part of the nation. We have produced a directory of urgent care dentists around the nation, and Duluth MN is a part of that network! If you are really suffering and are not able to immediately get in touch with any of the dentists on our list, you can rest assured that our handy hotline is great to use as a referral service to quickly get in touch with Saturday and after hours dentists near you. This hotline is open for use 24 hours a day, so you can say goodbye to the pain that is taking over your body, beginning with your sensitive teeth and gums. 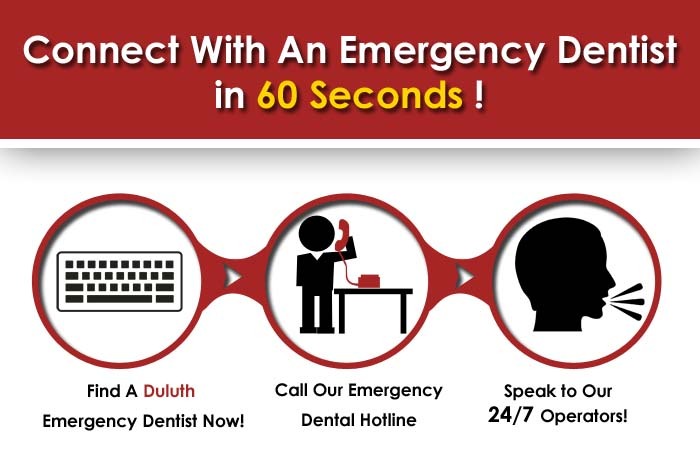 Find a Duluth emergency dentist now! Forming a metropolitan area with Superior known as the “Twin ports”, necessities like coal and grain are brought in here to keep the state and much of the Midwest supplied. A place that absolutely gets chilly during winter and is full of hockey fans, there are ample opportunities to find yourself in a need for a weekend or 24 hour dentist. Our dentists are vetted by Emergency Dentists USA, and are in a high form of professional standing in their community; poised to serve you quickly and efficiently. Description: If you are staying in Duluth and need a weekend dentist or simply a dentist open late nights, we’ve definitely got you covered. While you are here in the 2nd largest metro area in Minnesota, you definitely don’t want your stay hindered by shooting tooth pain or sudden sensitivity to hot or cold. We can help you locate an emergency dentist when you are at the end of your rope, and get you and your loved ones back on the path to feeling great again and ready to enjoy this area with many lakes and attractions. Find Minnesota 24 hour dentists today. Description:From emergency extractions to crowns and bridges, this is a Duluth area clinic that can get you back to a healthy state and one that will not give you a high pressure regimen of add ons and unnecessary services. Dr. Brian Mcdonald completed his undergraduate at University of Mankato and Bachelors at the University of Minnesota School Of Dentistry. Having a strong love for hockey and camping, and giving back to local charities such as Give Kids A Smile Day are highlights in his day to day life. Doctors: SETH L. AMADIO, DDS. Description:Getting high marks for patient satisfaction and all around clout in the local dental community, Lake Superior Dental Associates is fully equipped and experienced to help you with anything that suddenly becomes a weekend dentist emergency. Dr Seth Amadio was recognized for his excellence and academic achievement by the American Academy of Dental Practice Administration, and is well loved by all of his patients. Wood working, gardening, and spending time with his family and pets round out his busy and productive life; he strives to make your dental emergency more comfortable as quickly as he can. Description:Ran by a Duluth native who has a passion for seeing every patient walk out the door in complete satisfaction, and he earned his bachelor’s at St John’s University and his doctorate from The University of MN School of Dentistry. 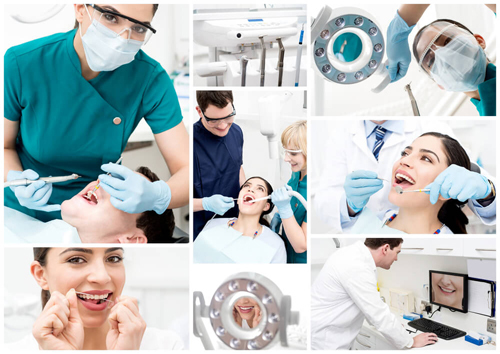 He specializes in implant technology, and is a way above par selection for an emergency dentist or late night clinic. He has seen success through many dental emergencies and can most definitely guide you to the healing light during yours. The city natives in Duluth are nearly Nordic with their love of ice sports, and hearty spirits. This is a great city to visit to take a peek into true Americana with a dose of nearly Canadian vibe. We would love to be the portal you use to find a emergency dentist in Duluth, MN , and do not want extreme pain to be the end of your stay here. If you want to take a further look at any of these walk in dentists before calling, you can visit The Minnesota Dental Association .